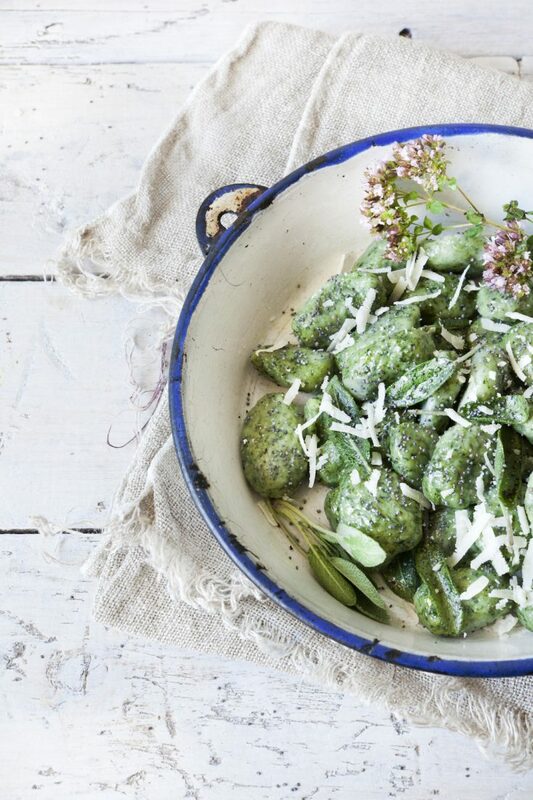 Spinach and Ricotta Gnudi are one of the most typical dishes of Tuscany: it is a classic comfort food prepared with simple ingredients because in fact the gnudi are a poor dish. Gnudi, what a funny name, isn’t it? What are gnudi? If we want to summarise the description, we could simply say that the Tuscan gnudi are the evolution of the ravioli filling: in fact, gnudi are the stuffing ricotta and spinach of ravioli which is given a round shape before being boiled and seasoned. Gnudo, in Tuscan, means “naked”: appropriate name since, in fact, it’s the filling of ravioli without its outer coating, the raviolo. It’s easy to compare them to gnocchi, but it is only the shape that can be the same since flour is present in the dumplings while the gnudi only have a bit of flour on the outside. Like all traditional recipes, every family and every member of the same family has its gnudi recipe but everyone agrees that this is one of the Tuscan recipes to try, because of its simplicity and its goodness. One of the problems with the gnudi is that if the spinach is not finely chopped, it may be difficult to get a perfect ball because the ingredients may not mix well; I recommend chopping the spinach as small as possible, if necessary even using a food processor. For the rest, the same advice is always valid when it comes to Italian food: only use top quality ingredients, first of all ricotta cheese, to get a truly perfect result. Remember that gnudi are good because you can taste all the ingredients and that means, since the sauce is basic, the ingredients must stand out as much as possible. As for the condiment, the tradition says that the gnudi should be served with a classic butter + sage + parmesan cheese but you can actually season them at will (just as you do with gnocchi) for example with a light tomato sauce, with a ragù and so on. 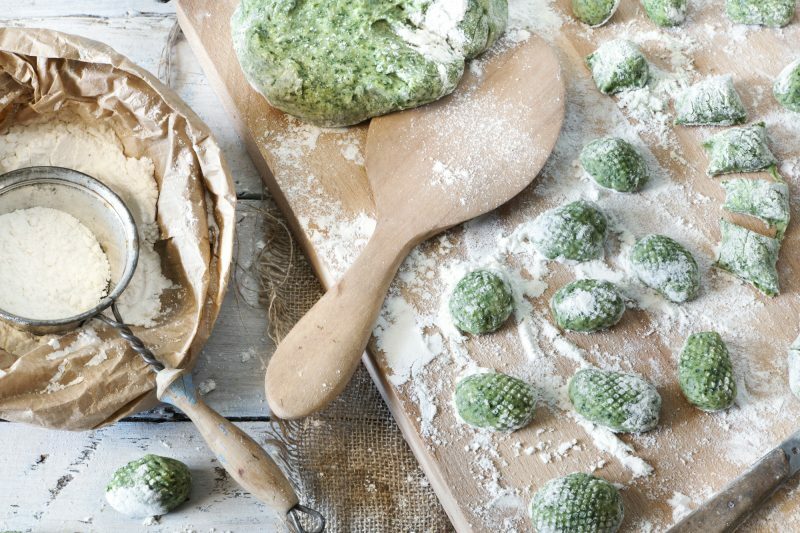 Let’s go to the recipe to prepare some delicious TuscanSpinach and Ricotta Gnudi, at the end of which you will find some useful tips to make, taste and store them. Bring salted water to a boil in a large, high pot; when boiling, toss the gnudi a little at a time and let them cook until they start to surface again. Drain them with a skimmer and dress them in the way you prefer. In case they will last, put them in the fridge and I suggest you heat your gnudi in the oven by adding Parmesan or in a pan with very little hot water to make them come out.